ï»¿ Welcome to Dusty's Justys... The Internet's ONLY Home for the Subaru Justy! Welcome to Dusty's Justys... 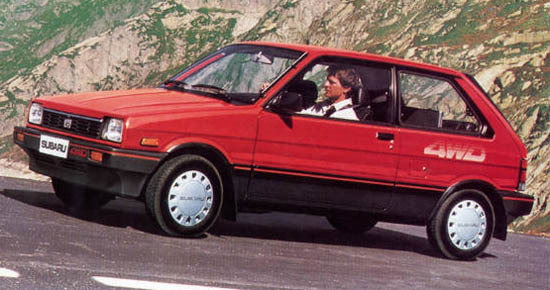 The Internet's ONLY Home for the Original Subaru Justy!!! We are dedicated to the preservation and upkeep of the Subaru Justy, offering many hard to find parts and the ONLY place that you can find Justy Performance! Whether you want a bolt or a 200HP turbo racing engine, we've got you covered! Please browse our different pages FULL of information and our exclusive parts lookup service! <- CLICK A CATEGORY ON THE LEFT TO GO TO THAT PAGE !!! DUSTY'S JUSTYS has just landed a distributorship for ZEN wheels, and is proud to offer you twelve aftermarket rims made to fit your Justy!